»Activities»CityMall Blood Drive To Round Up 2012! CityMall Blood Drive To Round Up 2012! On December 29, we decided to round up the season with a final blood drive at CityMall on the occasion of Christmas. All in all, a wonderful 73 blood bags were collected, helping around 219 children celebrate the holidays among their beloved ones with a big smile on their faces and the hope of a tomorrow where cancer would only become a zodiac sign! You can check out the pictures at the following location. Furthermore, we would like to take the opportunity to thank the CITYMALL, the Leouna Aal Seha – لاقونا عالساحة crew and all the municipalities we visited, Le Vendome InterContinental, the universities, Hôtel-Dieu de France’s blood bank and of course the American University of Beirut Medical Center (AUBMC) blood bank for helping us accomplish up to 13 blood drives throughout the year! 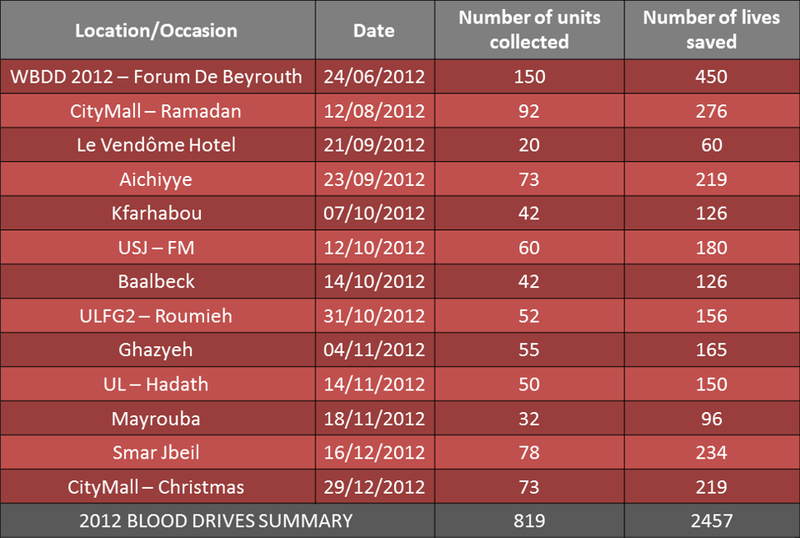 As we look towards 2013, we are honored to share with you the summary of all the drives we’ve done in 2012, with a total of 819 blood units collected and around 2457 lives saved from the drives alone! Not to forget the 450 demands we fulfilled each month! With the hope of seeing many more companies and municipalities collaborate with us this year, we thank you from the bottom of our hearts for spreading our cause! 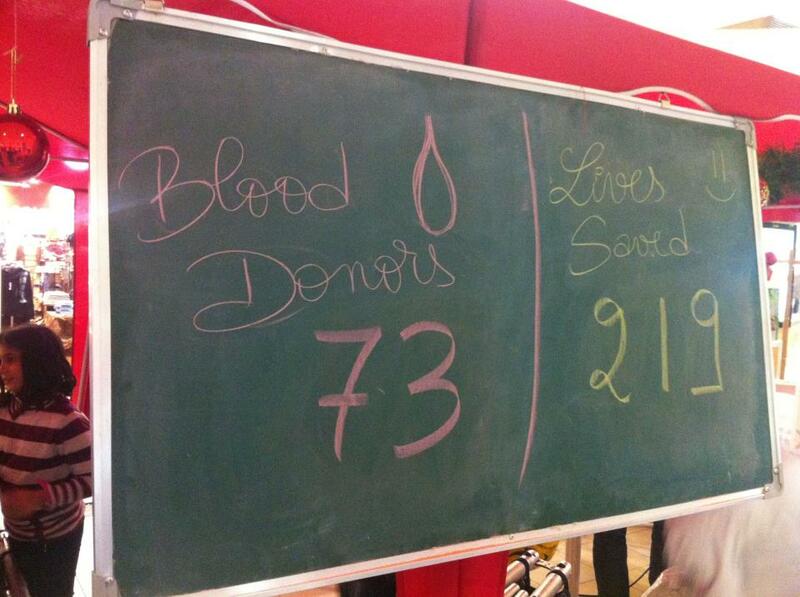 ← Seoul’s World Blood Donor Day Report: We’re Featured!